Adorned with beautiful 3D applique flowers, this blue dress will surely get everyone to notice it. 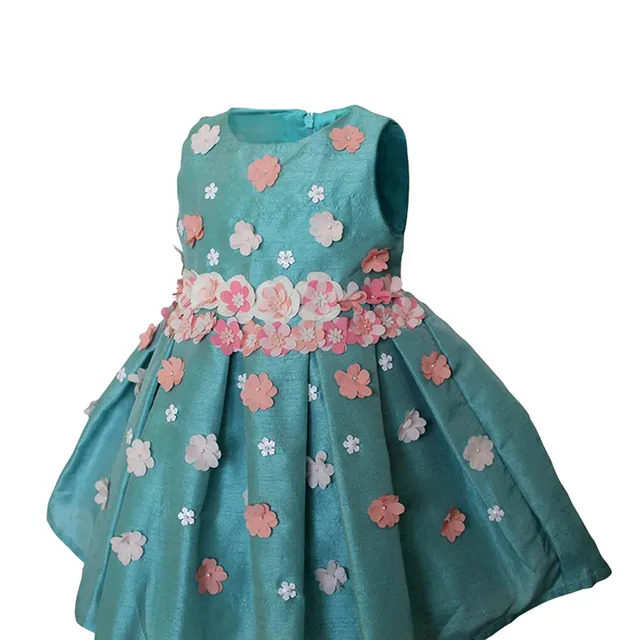 Two lines of flowers at the wasit in the front, and a bow belt at the back with a concealed zip are some of the details of this dress. 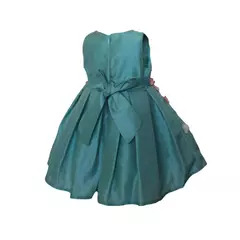 The fresh blue colored dress is the part of our "Flower Girls Collection", and a beautiful candidate to be a birthday dress for your daughter.